A dispute in Portland is bringing to light the age old question of whether fare cuts or service increases are the best way to "improve" transit. Both options improve ridership. The high-level answer is pretty simple. If you want transit to be mainly for low-income people who have a low value of time, cut fares, as this is an improvement targeted to benefit only the cost-sensitive. By not improving service, this choice may also lead to an increased "stigma" around transit as it is perceived, with increasing accuracy, as a low-quality experience that is of no relevance to people who have choices. 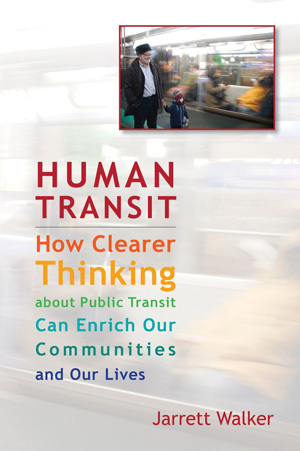 If you want transit to be useful to a broad spectrum of the population, increase service. Cutting fares is good for lower-income people, while increasing service is good for almost everyone, including many low-income people. But it's not as good for some low-income people, and that's the interesting nuance in this particular story. At the same time, Portland has a throughly inadequate level of midday service, by almost any standard. In the context of cities of Portland's size and age, Tri-Met practically invented the high-frequency grid that enables easy anywhere to anywhere travel in the city, but in 2009 it destroyed that convenience by cutting service to 17-20 minute frequencies. At those frequencies, the connections on which the grid relies are simply too time-wasting. Those cuts correlated with substantial ridership losses at the time. OPAL's demand for a fare cut costing $2.6 million (about 2% of the agency's revenue) is, mathematically, also a demand that Tri-Met should not restore frequent service. This money (about 80 vehicle-hours of service per day) is more than enough to restore frequent all-day service on several major lines. The rich irony of this proposal is that OPAL uses those service cuts to justify its proposed fare reduction. In Portland, the basic cash fare purchases a two-hour pass that enables the passenger to transfer one or two times. Because of the frequency cuts, transfers are now taking longer, and a few are taking too long for the two-hour pass. OPAL therefore wants the pass to be good for longer. So OPAL's position is that because service has been cut, Tri-Met must mitigate the impact on low-income people instead of just fixing the problem. In particular, OPAL wants a solution that benefits only people who are money-poor but time-rich, a category that tends to include the low-income retired, disabled, and underemployed. You must be both money-poor and time-rich to benefit from a system that reduces fares but wastes more and more of your time due to low frequencies and bad connections. If, on the other hand, you are money-poor and time-poor — working two jobs and taking a class and rushing to daycare — you will benefit from a good network that saves you time as much as from one that saves you money. But that means you don't have time to go to meetings or be heard. We transit professionals see these busy low-income people on our systems and care about their needs, but we also know that we're not going to hear their voice as much from advocacy organizations, because they just don't have time to get involved. The same is true, by the way, of the vast working middle class. In the transit business, we get lots of comments the money-poor-but-time-rich, who have time to get involved, and from the wealthy, who can hire others to represent them. We don't hear as much from the middle class or from the money-poor-and-time-poor, even though those groups dominate ridership. But hey, we understand! They're just too busy. What do you think of how transfers are done in Chicago, where there is no free transfer? If you take a bus, then transfer to train within two hours, it is $2.00 (bus) + $0.25 (transfer) = $2.25. If you transfer from train to bus, it is $2.25 (train) +$0.25 (transfer) = $2.50. This unfairly penalizes train-bus transfers. I believe the first transfer should be free, period. Because of the grid system, some trips may take two bus rides (to go diagonally, you have to take a bus west, then south, for example, since there is not always direct service). I did some work a transit agency that offered a discounted monthly for “low-income” people. Naturally, people did the sum of (number of low-income passes sold)*(discount on pass), and pointed out it was a Large Number. The team I worked with reccomended a change: the transit agency would have its subsidy cut by Large Number, and the social services department would have its budget increased by Large Number (netting to zero for taxpayers). In turn, the social servcies dept would ‘buy’ the monthly passes at full price from the transit agency, and then sell them at the discounted rate to low-income people – the difference being the increase in their budget by Large Number. The result was that the issue of whether taxpayers should be providing additional subsidy for low-income users (rightly) became a social servcies issues, not a transit agency issue. The so called ‘budget crisis’ that precipitated all of the cuts to service never materialized in the first place, and OPAL called them out on that. They got no media coverage but I myself saw what they were saying come exactly true. So Trimet takes an axe to service a over a year ago now they decide they can ‘restore’ some of that service. “But you can’t have both” according to the Trimet technocrats. Sorry, I just don’t believe them. Your post assumes they are truthful as to the current state of their financial status. They have proven over and over they cannot be trusted when it comes to their public statements about their finances. Let’s remember, these people in charge took an axe to service AND raise the fares pleading poverty all the while and at the exact same time hid raises for themselves of $1 million that goes on in perpetuity. I don’t buy your premise, people with time on their hands want longer transfers and people that are busy want more service. It’s a false dichotomy as far as I am concerned. Thanks for reminding us that a sufficiently vivid conspiracy theory can help anyone feel like they’ve escaped the facts of math. Even if TriMet were run by shifty-eyed goons who were siphoning off half the budget for their vacation homes in Maui, [which they’re not] there would still be a fixed budget for operations partly subsidized by fares, and cutting fares would reduce funds available to increase service. Perhaps we would be at a different baseline, but the two kinds of improvement would still compete for the same dollar. Also, as far as I can tell, those “hidden raises” were a reasonable deferred Cost of Living adjustment that wasn’t explained very well. If you don’t pay staff decently, the good ones leave, and the resulting bad management is an even bigger waste of money. But you’re welcome to think differently. It doesn’t change the math. Look Jarrett the point I am making is they are CAPABLE OF LYING. Lying is lying, sorry to disagree with you on this I generally respect your work. I’m not sure how much attention your paying to the situation here in Portland but even after the raises they are leaving anyway! Jana Toran, Olvia Clark have left and Shelly Lomax is trying to get out. So the raises didn’t even work. And personally I have a hard time believing that every single person will only respond to greed when it comes to their ‘career’. Everybody involved with transit now is being asked to ‘give’ but the executive class whines about how much money they are not making. Sorry, let em go drive a bus and see how that is. I can’t feel sorry for any of them. They need to sacrifice too. I’d be off their backs in a hot minute if for once they didn’t think of only themselves. Jarrett nowadays is back living in Portland–trust me, he’s well aware of what goes on at TriMet. Thanks Scott I’m gonna try to get him to sit down and talk to me by bribing him with a dinner at one of Portland’s finest restaurants. That’s interesting how Chicago does it’s transfers. Besides the fact that train riders get penalized, I would prefer a system that charges incremental amounts per leg of trip, with the first transfer being free. I think the most interesting bus system I’ve ridden on was in Singapore, which does distance-based fares for all of its transport services (or most of them, correct me if I’m wrong). This is convenient only with a smart card, but it seems more “fair” for everyone, and it makes sense; charge people for how far they go. I digress.. the main point of this is that when transit is looked at as a social service, other factors need to be taken into account. I agree that improving service is good for everyone, and transit, as a transportation service, should be expected to make decisions that benefit everyone (or at least everyone that rides). If low-income citizens are the main issue, then land use planning and cost-of-living should be focused on, not transit. Distance from home to work is more important than how much the bus costs. If you have distance-based fares and live close to work, it’s going to be cheap transportation for you. This can only work if property taxes do not go up with land value, thus enabling one to keep his or her property through a boom in land value. Transit services should be implemented in ways that benefit the majority of residents who can use it (ridership oriented, in Jarrett’s terms). And one last point, I think if fares really are an issue for the low-income minority, we always have the option of subsidizing fares for low-income levels. From an effectiveness and efficiency standpoint, is raising service from 20 minutes to 15 minutes the right thing to do? Are the 20 minute buses passing people up, or is it just something nice to have? Generally depending on the area I have seen substantially ridership gains going from 60 to 30 or 30 to 20, but often going from three buses an hour to four buses an hour does not increase ridership anywhere near the 33% necessary to avoid an increase in subsidy per rider, because there isn’t much latent demand to accommodate, as compared to a 30 to 20 jump. Even with the fare increase the increase in subsidy per rider is still higher. Fifteen minute service seems like a nice goal, but I would like to see more quantification of ridership gains going from 20 to 15. The drop in ridership due to the drop in frequency has more to do with the weakened economy. I seem to recall when BART moved night and weekend service from 20 to 15, ridership did not increase substantially. Jarrett’s argument would be stronger if Portland already didn’t provide good service in the hours the majority of people ride, which is the peak. I appreciate Al’s offer, but we always talk past each other online so I wonder if it would be different in person. See, I don’t actually care about TriMet’s internal politics. I live in Portland but I travel about 60% of the time and when I’m there I think more about what’s happening to transit in Portland than I do about the personalities. I was making a very simple point about two choices that present themselves when deploying a fixed budget. Whether the budget should be different is an unrelated question. Calwatch, the 15-minute threshold is pretty widely accepted in the industry, and remember that the big issue is how it affects connections. You might wait 20 minutes for an initial bus but it’s brutal to wait that long again for a connection. That’s why the frequent cut has undermined the principle of Portland’s grid in a way that caused striking ridership loss at the time. Is OPAL the Portland equivalent of the insidious and evil Bus Riders Union from Los Angeles? Beyond what Jarrett pointed on this piece, I think there are serious shortcomings to the “social service first” approach to transit management. Once you go down that route – which requires a certain mentality -, there is a greater risk that other inefficiencies creep in, such as the adoption of circuitous low-ridership routes that don’t increase coverage but provide one-seat rides (which start being more coveted as network reliability decreases). I think this is highly over-simplified. You have to know the existing fare subsidy and consider numerous other factors including inflation, real inflation, fuel costs, etc. Also, higher cash prices versus pass prices can increase operational speed and in the long-term add more service frequency. Where are we starting from in PDX? If they have a 95% fare subsidy, then sure raise fares. If they have a 60% fare subsidy, maybe not. ALso, how are you increasing service? If you increase frequency versus increasing coverage. If you increase coverage, you also have to consider the increase in ADA area and the associated higher increase in paratransit service costs. It’s not as simple as low-income versus higher income folk. You can also have a small fare cut and small service increase concurrently. My previous comment seems to have been filtered out by the anti-spam robot – it had a link to the Victoria Transport Policy Institute paper on transit fare elasticities which probably got it filtered out. Anyway, reducing off peak fares by allowing return trips on one ticket may not cost the transit agency anything. Extra off peak rides cost very little to provide, and fare elasticities are high off-peak. There may be a win-win solution here of making tickets last longer off-peak than at peak times. Calwatch, I cheered greatly went from 20 to 15 minute weekend and evening frequencies. It really increased frequencies during the evening and Sundays, since on Saturday a lot of stations have two overlapping 20 minute lines. There were situations where that made the difference between driving and BART for me–the potential of 15 minute waits seemed less daunting than 20 minute waits. I could time the trip there, but usually couldn’t time the trip home. But BART didn’t publicize the more frequent service very well, it didn’t seem like a high priority for their management. There was nothing like the advertising campaign for Los Angeles’ or Boston’s late night rail service (BTW, nice to see Boston catching up with Los Angeles!). BART also only left the service in place for about 18 months, not really long enough to build ridership in the absence of promotion. BART did extend more frequent “daytime” service a little later into the evening, so that helped some. I gave up on TriMet this year. I was a regular rider, and used TriMet as my primary transportation. We were a one car family for 4~ish years. I was using a mixed mode of transit; I used a bicycle as a link for longer distances to avoid the sometimes lengthy wait for a bus. Due to the infuriating fact that it took 45 minutes to a hour to go to work, and at least 2 hours to go home; I bought a scooter. Yes it’s cold and wet this time of year. The personal vehicle returns the flexibility I lost with the frequency reduction; I now save a hour and half, or more, of my time commuting daily. I could be persuaded to return to using TriMet as my primary transportation, if there was enough frequency restored. I will not be waiting for the only bus in the next hour that doesn’t show, again. If anyone at TriMet reads this: We need frequency! Two hours to cover 13 miles is stupid, I have biked that distance faster (I am not fit enough to cover 26 miles 5 days a week, however), and I am willing to walk a mile to reach the MAX because the bus schedule near one my employers is not useable. I have 2 jobs, I cannot wait a hour for a missed connection. If we want to subsidize time-rich cash-poor people give SNAP recipients discounted fares, like we do for the disabled and children. I would have accepted a fare increase to keep the old service level. I did vote for the property tax increase for Portland Public Schools. OPAL engages in far-less demagoguery, isn’t Marxist (at least not its public pronouncements), and doesn’t invoke many of the racial politics of LA-BRU. (On the other hand, Portland is a far whiter city than LA; and many of the poor OPAL advocates for are white–at any rate, race is seldom if ever raised as an issue by OPAL). OTOH, OPAL has in the past fanned the flames of the bus/rail argument, though they’ve dialed back on that sort of rhetoric quite a bit. They also seem to nowadays be taking a more neutral public stance in the labor dispute between TriMet and its operators’ union; whereas in the past they were more openly supportive of the union. (I don’t think that OPAL staff have changed minds on this, necessarily, but they appear to have received and taken to heart some suggestions on how to improve their effectiveness on dealing with TriMet). At any rate–moving from politics back to geometric issues of transit, a grid only works well if it is a high-frequency grid. A grid depends on short wait times at transfer points–and every node on the grid, where two lines cross, is a transfer point. While you can arrange for timed transfers at a small handful of transit centers and such, you simply cannot arrange for timed transfers at all intersections, so the success of the grid depends on having high frequencies so even the worst-case wait is tolerable. Has anyone quantified how many one-way trips actually need a transfer window longer than 2 hours, and what percentage of all transit trips in Portland they comprise? I’m a bit skeptical. Consider that we’re talking here about trips that are not just over two hours in total, but that have a leg that starts over two hours after the first leg of the trip starts. Therefore the total trip time would most likely be significantly longer than 2 hours. There are unlikely to be many transit trips like this in Portland (or anywhere else) for the simple fact that very few people are willing to make such a trip on a regular basis. Even the money-poor, time-rich (been there myself) have some minimal standards. A good transit model should be able to quantify these. Then, the transfer window should be set to optimize 1) and 2), maybe considering 4) an incidental benefit, while minimizing 3). @Transit Riding Transit Planner: going beyond the immediate Tri-Met issue at hand, I think the ideal system to lower costs of low-income transit-dependent riders is to have weekly and monthly passes that are significantly cheaper than the sum of 2 one-way fares (which can then be raised and made more stringent). Worth noting then that the original service reduction was also a fare hike (as the extra delay meant a second time-limited ticket had to be purchased for the same journey). I took your position initially, but having pondered it further, I think the question of whether it’s better to extend a transfer versus adding frequency bears some scrutiny. It really boils down to how much extending the transfer will cost, versus how much service that will buy. And I think that there is reason to believe that the cost of extending the transfer will be miniscule; certainly less than Trimet says it would be. If you extend the transfer, you will get some riders that will make the same trips that they would have anyway, but pay less into the system. But you are also going to get some riders who will make trips that they otherwise would not have. It depends on the elasticity associated with extending the transfer time. I just bring it up to remind you that it’s not just a simple matter of X trips of 2 to 3 hours times Y fares; there’s feedback and dynamism, just as there is in ridership response to increased frequency. Furthermore, if we’re talking about trips that take 2 to 3 hours, then it’s impossible for both legs of the trip to be during peak period. So at least one of the legs will be during a time when there is slack capacity. Given that those buses are going to be running anyway, there is a strong argument that a lot of what you’ll get by enabling a longer transfer is just eliminating deadweight loss. Conversely, implementing a policy that explicitly forbids making a round trip on a single ticket (which some on the Trimet board seem to be advocating) amounts to an off-peak fare increase, which is a terrible way to generate the ridership to support an increase in all day frequency. If you’re going to add buses at mid-day, the optics are way better if you can fill them, and extending the transfer time is a fairly reasonable way to do that. 1) There are very few one-way trips on TriMet that might require more than two hours to complete. Perhaps getting on a bus in Hillsboro, transfering to the Blue Line, riding it to the other end in Gresham (about 1:45), and then another bus from Gresham TC to a final destination–but I doubt there are very many riders making such trips on a regular basis. OPAL has been clear that they are interested in making it possible for many short round-trips to be done on a single fare. 2) The cost of a day-pass on TriMet is the same as the cost of two single-ride tickets; TriMet also sells weekly and monthly passes at a discount above that. There are quite a few poor folks, though, for whom buying in bulk is not an option–or whose travel is irregular enough not to benefit from a fixed-time pass. 3) One other option is discounted ticket books (good for a fixed number of trips, rather than a set contiguous period of days). TriMet does sell ticket books, but there is no discount for doing so (a book of 10 2-hour tickets is US$25, ten times the single-ticket price of US$2.50). Paper ticket books are harder to buy, though; they are not generally available from either MAX station ticket machines, or from bus drivers (they are sold at the ticket office and at certain grocery and convenience stores). With the new ticketing app, you can buy as many tickets as you need in advance, but other than the weekly and monthly passes, I don’t believe there is any bulk discount. Once you have reloaded it enough times to pay for a 31-day pass (18 times on CAT ), it turns into a 31-day pass which was effectively purchased on day 1. (You don’t have to ride every day, but obviously when you don’t ride, you get less utility out of it.) But if you don’t reload it 18 times within the 31 days, the pass expires and you have to start over. It’s an “accumulator” and a lot of agencies are doing that for day passes – VTA and now AC Transit will do that. It should be fairly logical to have an accumulator for weekly and monthly passes too, but no one in this country has seemed to program for it. This doesn’t undercut Jarrett’s main point or the tradeoffs discussed, but I wonder if he’s met or spoken with any OPAL activists before associating them with the “time-rich-and-money-poor” people, which I suppose usually means “receiving SSI or Social Security,” who are able to testify at transit-related public meetings across the country. OPAL’s core organizers include some students and people with disabilities, but it also includes working poor folks and middle-class liberals, in part because they work very hard (and spend significant money) to engage people who are “time-poor-and-money-poor” by offering free day care, food, Spanish translations, etc., at their events. The general point about who benefits is well taken. But OPAL is an interest group for a group of people that I think it’s pretty silly to claim are overrepresented in the political process.